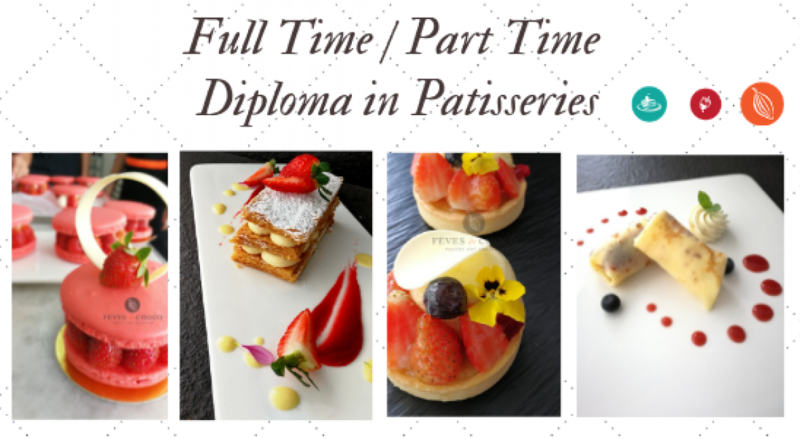 Fèves de Choco offers full-time baking and pastry art certificate and diploma courses that encompass baking theories and techniques, cake making and decoration, sugar art and chocolate art, among others. All our programs originate from baking programs in Europe, and our experienced and dedicated instructors will convey all that they know to pastry-loving apprentices. Other than providing an excellent training platform for students, Fèves de Choco also offers a wide range of amateur classes to meet the needs of students at different levels of cake-making competencies, from elementary to advanced and even professional chefs; you can find the right course for you here. Our Diploma in Patisserie and Advanced Diploma in Patisserie Art programme are accredited by South Essex College, UK. Student will earn 2 professional certificates after completion of the studies.